May | 2014 | Let their light shine! 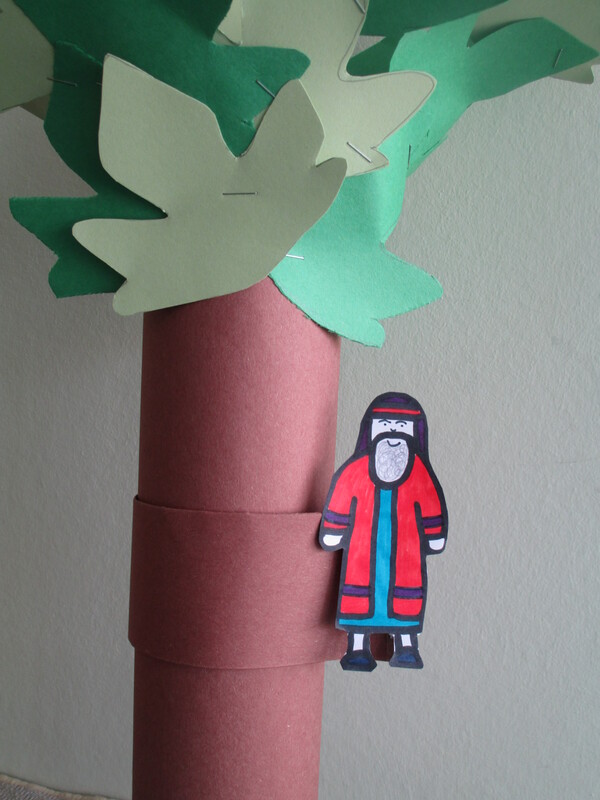 I made this to use with under fives to tell the story of Zacchaeus. 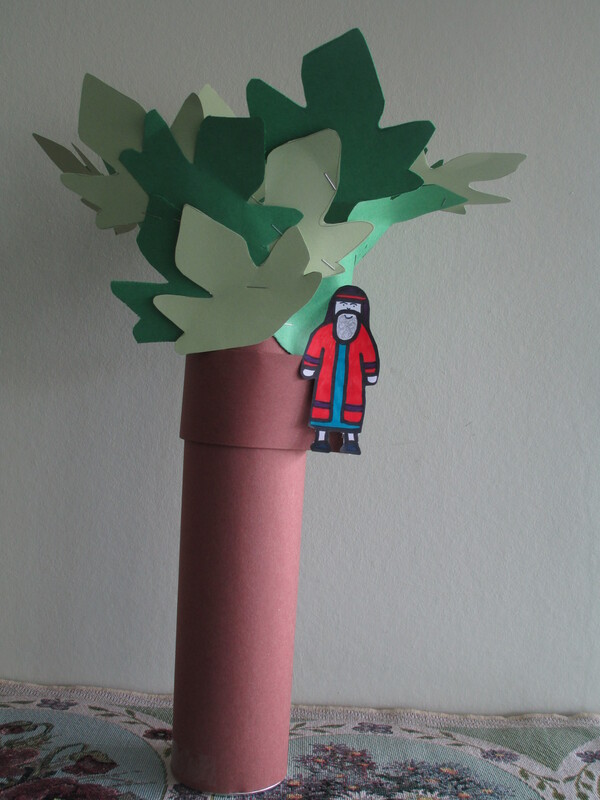 He moves up the tree which is great for keeping the young children interested. 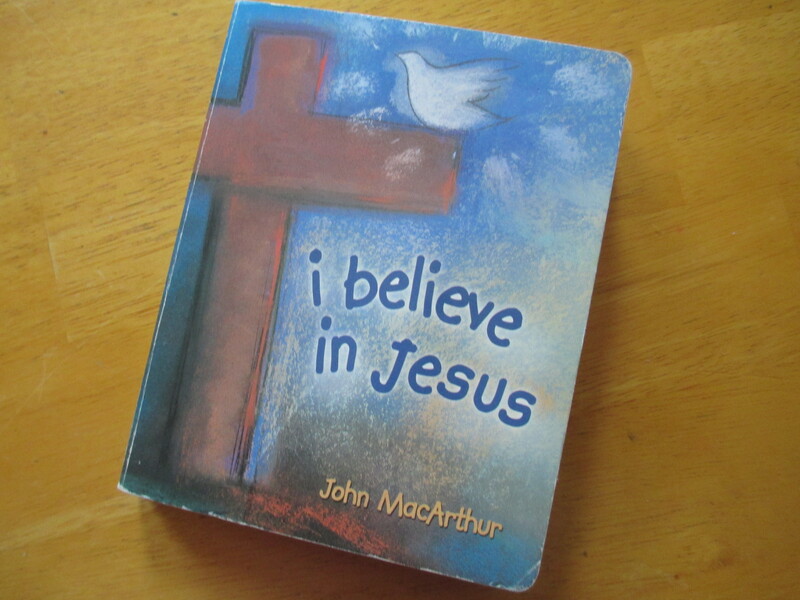 We are doing the story as part of our Bible Alphabet series. 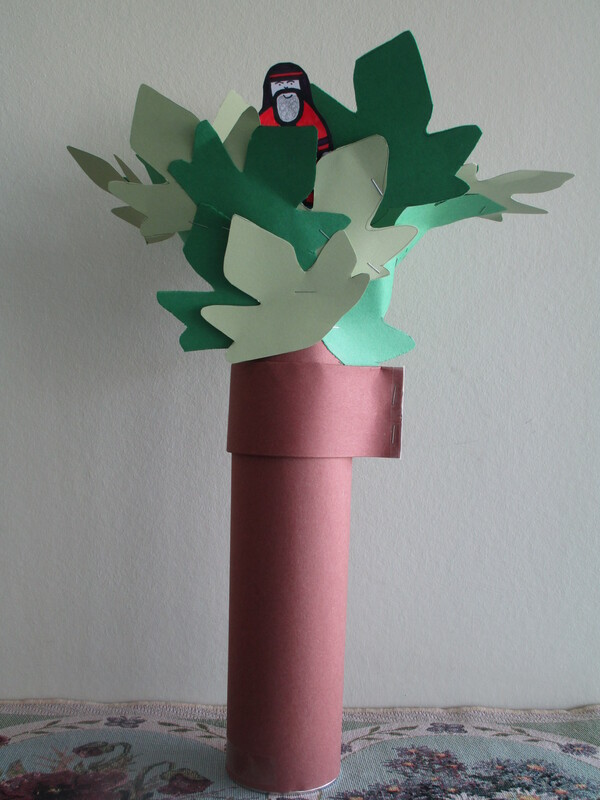 The tree is a Pringles container covered in brown construction paper with large leaves stapled around the top. 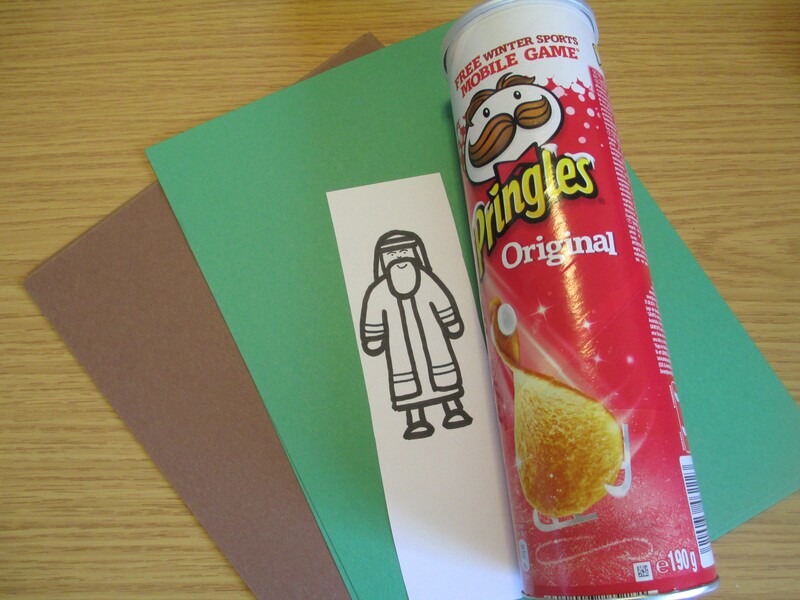 It’s important that the brown construction paper is taller than the Pringles container by about 4cm so you have space to staple on the leaves. 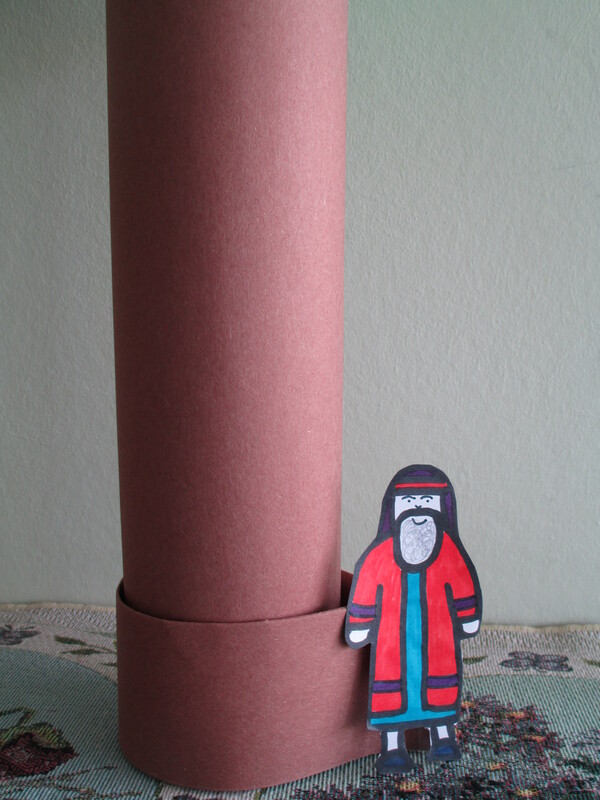 Also leave the lid on so that Zacchaeus doesn’t fall inside while you are telling the story! 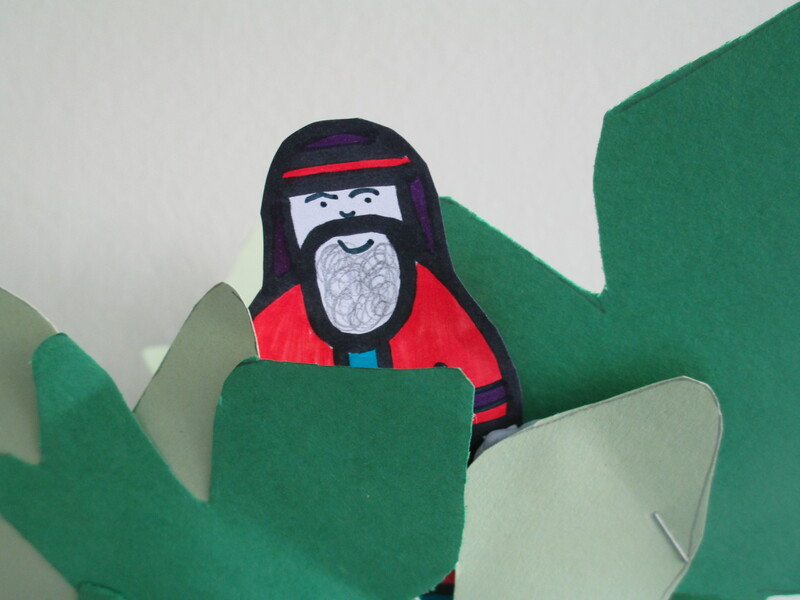 The leaves were made from construction paper and lightweight card in two contrasting greens. 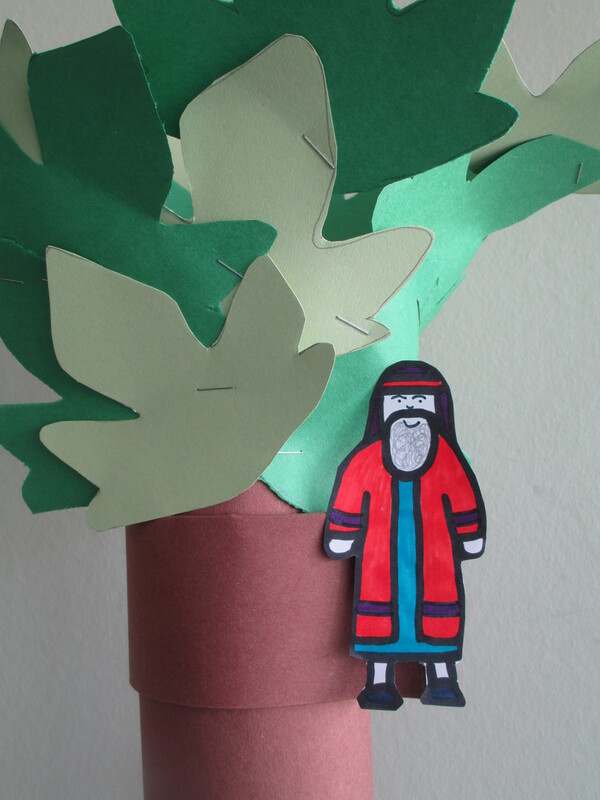 You can slide Zacchaeus up the tree trunk by blue tac-ing him to a piece of brown construction paper that has been folded and wound round the tree trunk and stapled to make a circular collar for the tree. This should be tight enough to stay in place and slide smoothly.When Zacchaeus has climbed the tree take him off the brown slider/collar and blue tac him in the leaves. 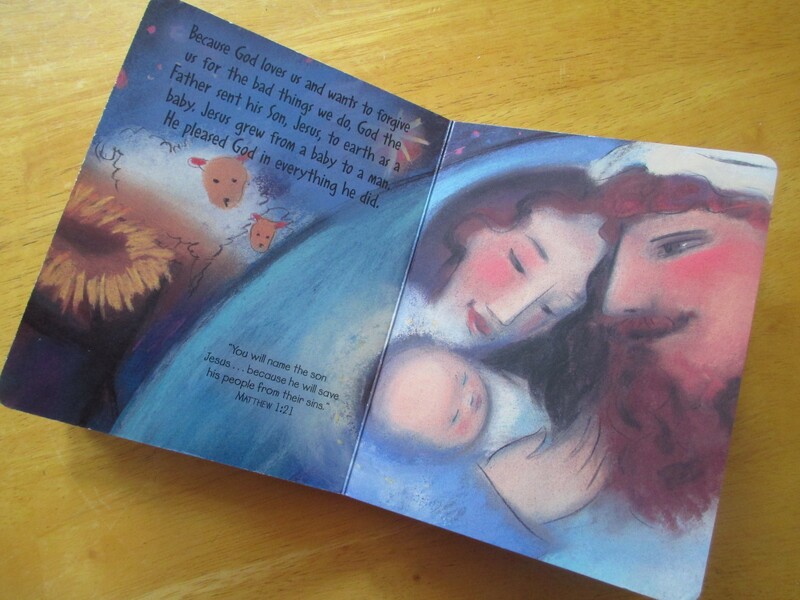 The well known children’s song ‘Zacchaeus was a very little man (or very wee man) is great to sing. 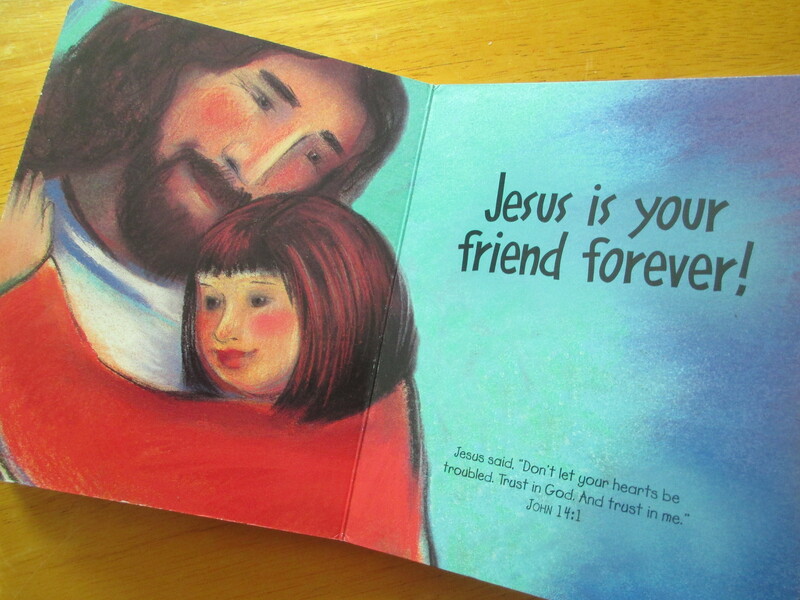 There are lots of versions on the web; some have music to sing along to and others also have animation. I’ve included a link.